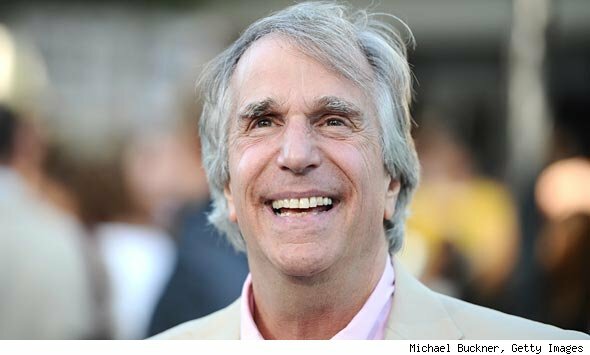 For most, Henry Winkler will forever be The Fonz, but he’s had a long and successful career since ‘Happy Days,’ appearing in dozens of shows and movies like ‘The Waterboy,’ and ‘Arrested Development.’ His most recent roles include Hank’s dad on ‘Royal Pains,’ and ‘Children’s Hospital.’ The 65-year-old actor is also co-author of the wildly popular Hank Zipzer children’s books, about an under-achiever which is based on Winkler’s early struggles with undiagnosed dyslexia. His latest book is about his twin passions, fly fishing and photography. ‘I’ve Never Met an Idiot on the River’ is a slim but lovely tome filled with sweet anecdotes, astute observations and illustrated with his own photos. PopEater caught up with Winkler to talk his rituals out on the river, whether he felt ‘Happy Days’ ever truly jumped the shark and he gets serious about how he first coped with dyslexia.